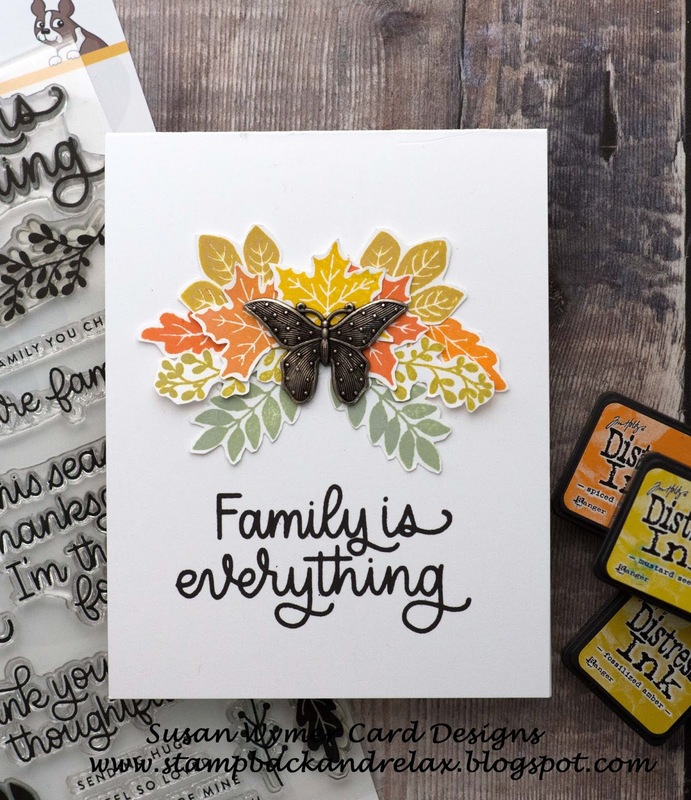 Simon Says Stamp November 2018 Card Kit: Family is Everything! 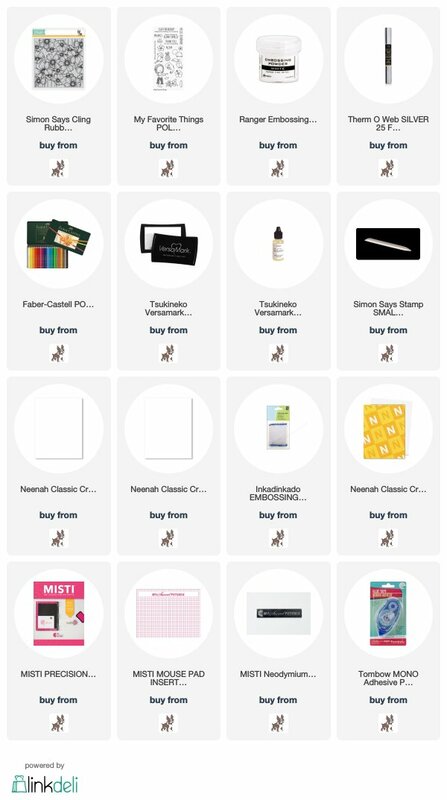 I have been noticing a theme lately in my heart and stamp sets. One that says family is everything. I now have two stamp sets that have this sentiment. At a crafty retreat I was given this Simon Says Stamp November 2018 card kit by a friend. I am so grateful for it. 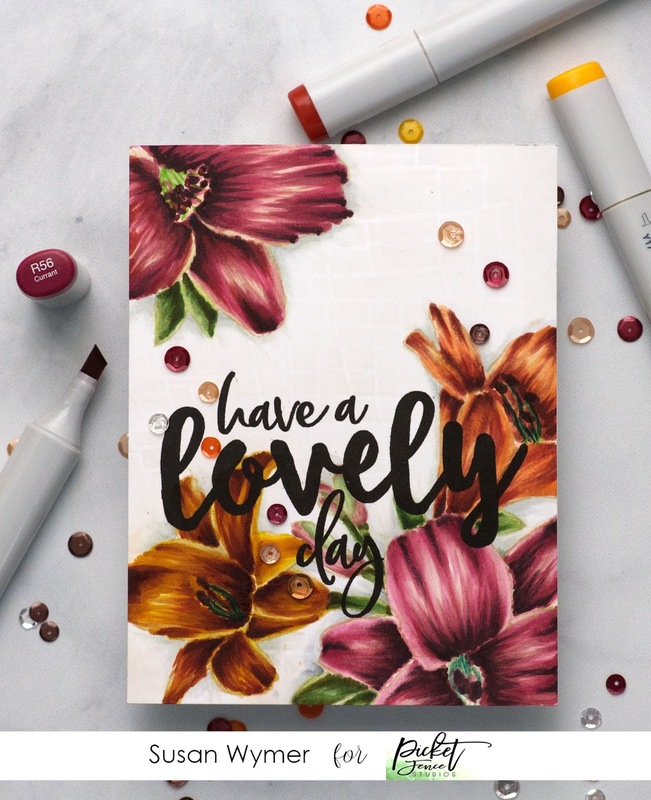 This stamp set is gorgeous and the kit has a lot of great paper and embellishments packed into it. I made this card while at the Retreat. Because I fly there, I borrow almost everything from friends including inks. I, admit with all the wonderful chatting and laughing with friends that I forgot to write down exactly what I used. I have given my best guess below lol! This card was sooooo easy to make. I simply stamped this leaves in fall colored Distress Oxides onto Neenah Solar White 80 lb card stock. I then cut them out and arranged them in a bouquet of leaves or a spray of leaves. Once I knew where the spray of leaves was going I used my MISTI to stamp the sentiment. I then added the butterfly from Tim Holtz (in the kit) and used Glossy Accents to adhere it. Thanks for falling by (pun intended)! Products Used: I am using compensated affiliate links at not further cost to you. In full disclosure, I was given the card kit as a gift from a wonderful friend! 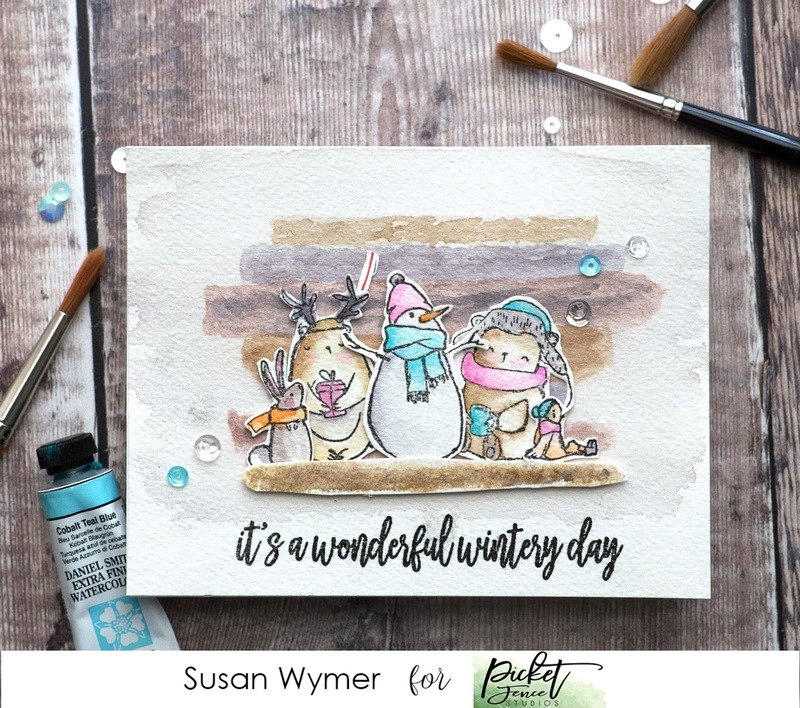 All I could think of when I saw this stamp set was having these little snowmen on a rustic mantle piece. So I painted one with a rough wood background. I first stamped the images with Versafine Onyx black onto Arches 140 lb cold press watercolor paper and painted them in various shades of grays. I, then, fussy cut them. The grays were created with varying amounts of Daniel Smith Ultramarine Blue and Quinacridone Gold. I used Opera Pink and Cobalt Turquoise for the clothing. The brown was a mix of Quinacridone Gold and Burnt Sienna - I think!!! The background was also created with the same grays on the same arches paper. The mantle is part of the stamp set and was fussy cut as well. Products Used: I am using compensated affiliate links at no further charge to you. I was given the stamp set as part of my design team work with Picket Fence Studios. 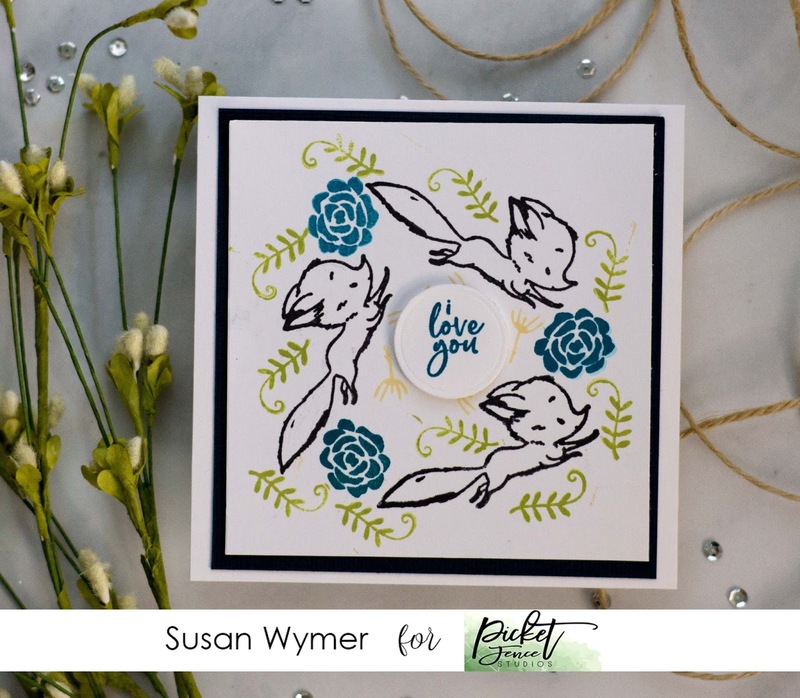 For my last card for Release week, I just had to make a wreath out of these adorable scampering foxes in Crafty Like a Fox. I used a circle die cut as a guide and just stamped out a wreath using some florals from other Picket Fence sets. Easy peasy! Thanks for coming by again! I am at a crafty retreat and hopefully making more cards to post here. Chances are I will just be chatting and not doing a thing lol! Products used: I am using compensated affiliate links at no further cost to you. 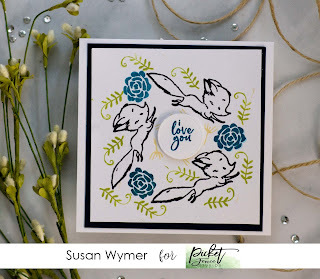 I was the given Crafty Like A Fox as part of my design team work for Picket Fence Studios. This gnome is adorable. 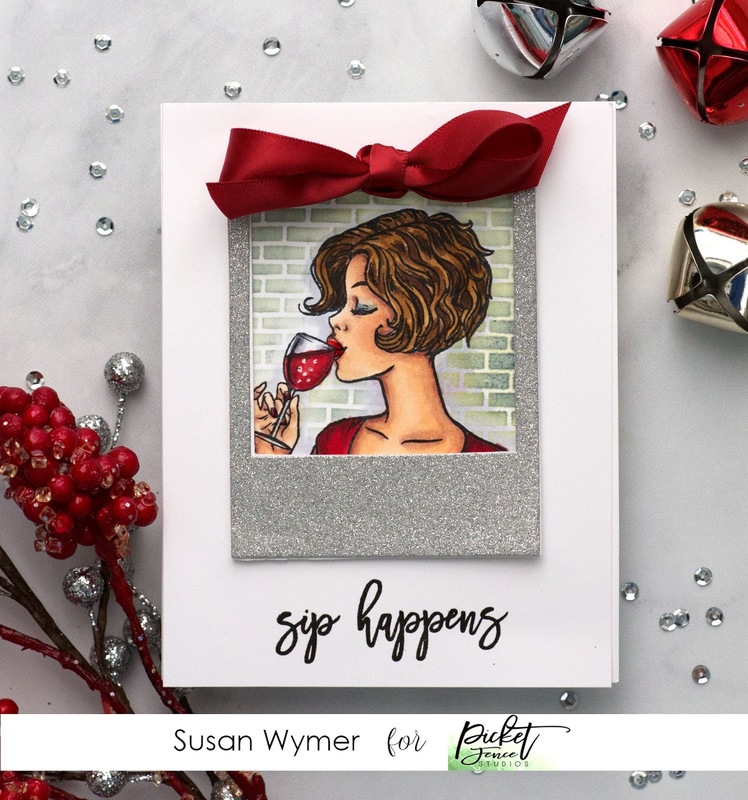 I kept this card clean and simple - well for me - and just added some shimmer splatter and sequins. I made a cluster of snowflakes using some old glitter paper. Underneath that I have used embossing paste with a snowflake stencil! I did add Frosted Lace Stickles to his beard - I couldn't resist! Thanks for stopping by! I will be back on Thursday with my last card for the Release. BUT I have more stamps from this release so I plan on using them! Products Used: I am using compensated affiliate links at no extra charge to you. I was given the Gnome stamp set as part of my design team work for Picket Fence Studios. 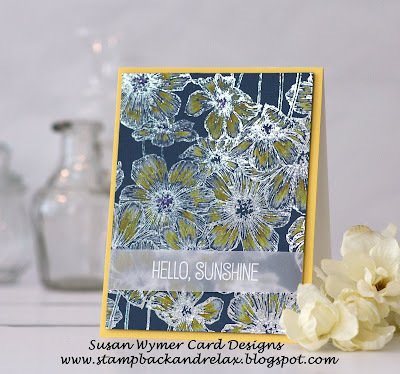 I really love all of the new release from Picket Fence but the Lily Bouquet stole my heart! I wanted to try no line coloring again with my Copics as I am still learning. I follow Dawn Woleslage's from W Plus 9 You Tube tutorial here. I use this technique for the leaves as well. Then for a few hours I proceed to color this in. 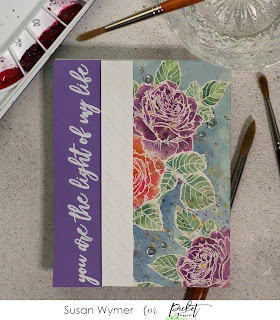 I stamped on Neenah Solar White 80 lb cardstock. I struggled with the stamens......I need to learn how to color these. I am seeing Dawn on Thursday at Retreat and asking for a lesson!!!!!! Red Lily: R81, R83, R85, R56 and RV99. My undercoat is YR0000. I added a bit of G20 just because. Yellow Lily: Y02, Y08, E99, My undercoat is YR0000. I also added some V99 and G20. Orange Lily: YR65, E07, E97, E99, E18, E17 and an undercoat of G20 with pops of YR0000. Product Used: I am using compensated affiliate links at no further cost to you. The lily bouquet was given to me as part of my design team work for Picket Fence Studios. You know I love the Picket Fence Studios Girls collection and this set met all my expectations - and who can resist a wine glass. I had so much fun coloring her in Copics. Another obsession - Gnomes and I love this little guy! These foxes can be used in so many different scenes - winter, fall and spring and perhaps, summer. 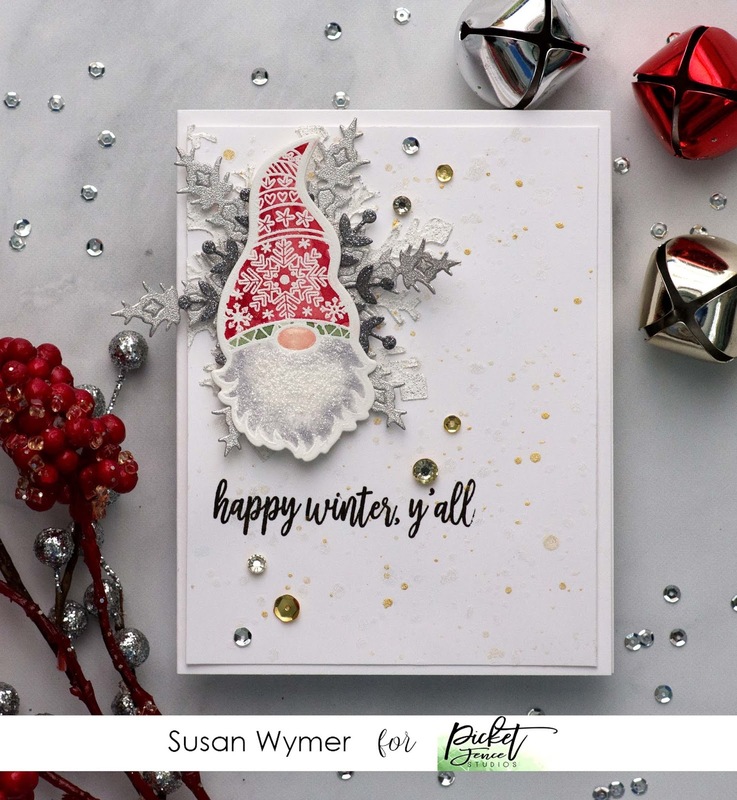 I created this quick wreath by stamping around circle die. Easy peasy! Last but not least - my favorite - the Lily Bouquet! I was swooning when I opened it. I will post more on the colors I used tomorrow. Today's post is just to get going on the Release! Products Used. I am using compensated affiliate links at no further cost to you. I received the stamps I used here as part of my DT work. Happy Weekend! For today’s card, I used the Rose Bouquet stamp set – I am obsessed with it. I have always loved roses. My grandfather had a small but spectacular rose garden. I used to help him fertilize, cut roses for my Nana, and prepare the beds for winter. They lived near a river so the soil was just scrumptious for the roses and for making a yummy compost as well. Many of my grandfather’s roses were tea roses which are the type featured in the Rose Bouquet stamp set. I stamped the largest bouquet several times on Arches cold press 140 lb watercolor paper to make a background. Then proceeded to paint the image with watercolor paints. I used Daniel Smith Quinacradone Coral, Mijello Mission Gold Permanent Rose and Daniel Smith Rose of Ultramarine. For the background I mixed two blues and that resulted in a desaturated blue. Next time I will use a dilution of Cobalt blue. Then I proceeded to add too much splatter – but we all need to learn right? Below is a You Tube tutorial on my channel. Feel free to leave me questions there or over here on the blog. Thank you for stopping by! 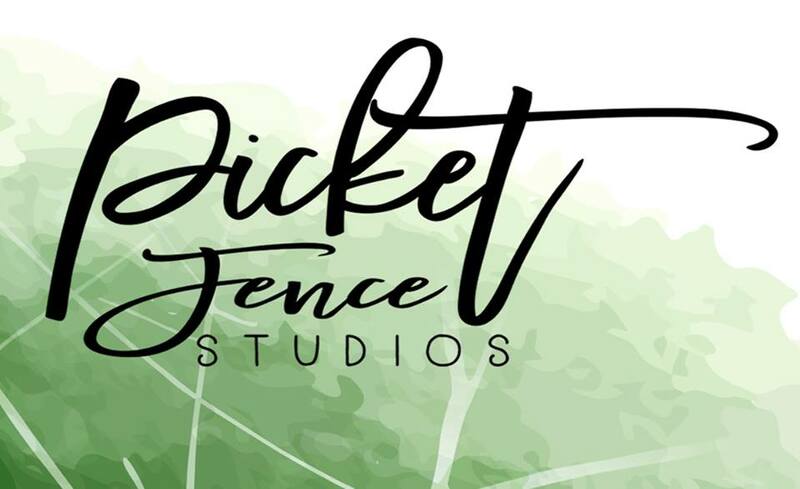 Tomorrow is Release Day for Picket Fence Studios October Release - I will be back. It is an awesome release! 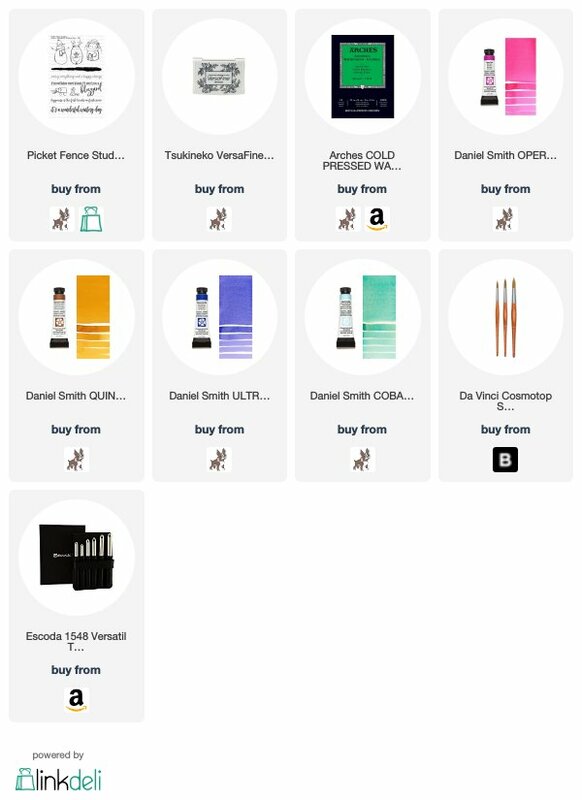 Links to products used: I am using compensated affiliate links at no further cost to you. Quick post on a card I threw together last night. 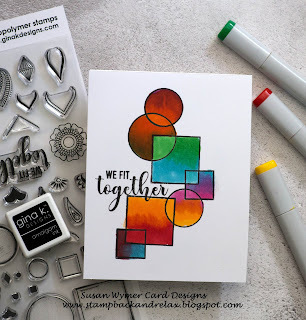 I wanted to use my new Mandala Maker stamp set but I did not have much time. I also wanted to try color smashing a la Kathy Racoosin. Thus, this easy peasy pretty card was born!!! I used several different Copic makers. Ideally I should have changed up the colors in the circle second from the top. However, color smashing is so much fun!!!! 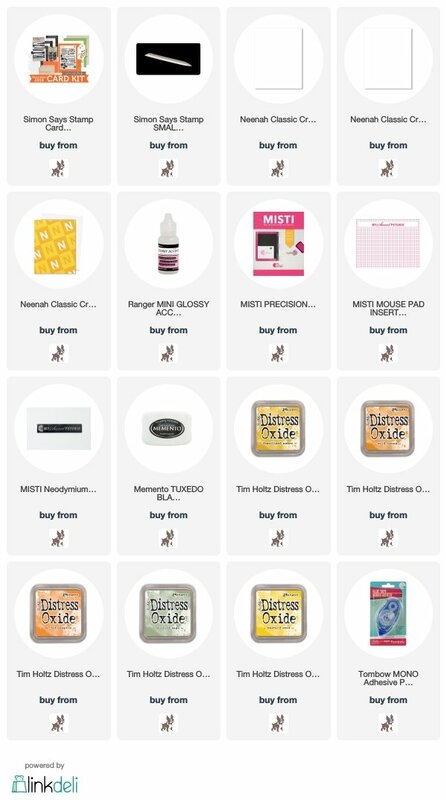 Supply List: I am using compensated affiliate links at no further cost to you. I am back for another card tutorial at My Sweet Petunia. However, I did not color petunias in this tutorial, I colored cosmos lol! I really wanted to color a foiled background with colored pencils so I used the Simon Says Stamp Cosmos background and the foiling via heat embossing to make this card.